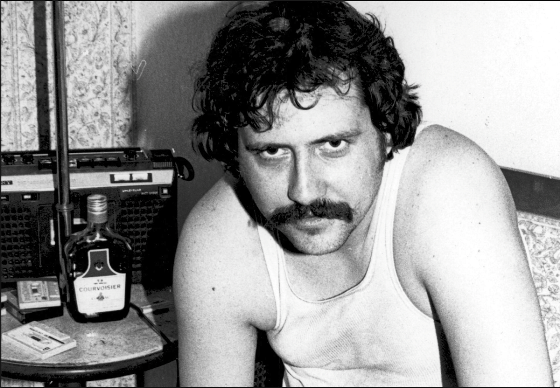 Boston, MA - Long before the term 'taste-maker' was coined in popular culture (and decades before music bloggers found influence on the industry) there was the rapscallion rock critic Lester Bangs. An unrepentant super-power of creative prowess, the only thing greater than his legacy as a vital '60s and '70s contributor to counterculture, was his apparent unending passion for music itself. I will readily admit I attend the show curious. 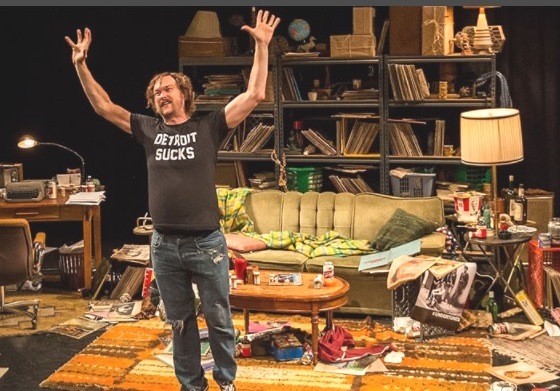 But I was thoroughly convinced I had seen and knew everything I needed (or even desired to know) about Lester Bangs.. That was until I witnessed stage and screen actor Erik Jensen's humanizing potrayal of Bangs in the ArtsEmerson production of How To Be A Rock Critic at the Paramount Theater this week. In 70-some-odd minutes, I went from being a passive participant in the same world that Lester Bangs once lived to being invoked to feel and understand some level of the man's pain and his glory. It was an inspired production. 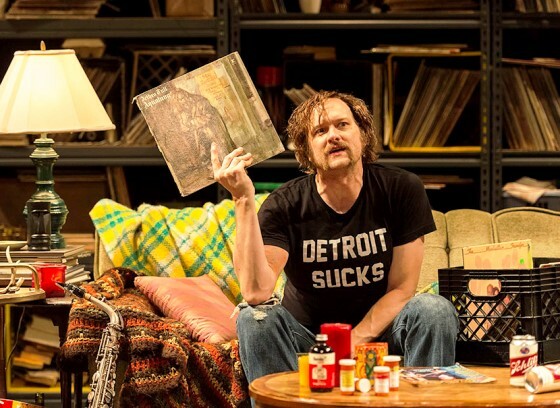 Most music lovers recall seeing Lester Bangs immortalized by the late acting genius Phillip Seymour Hoffman in Cameron Crowe's Almost Famous (2000) but even that fan-favorite telling largely didn't sway me. It's hard to fight popular tide and old ghosts. And there have been other portrayals of Bangs, each with its strengths. 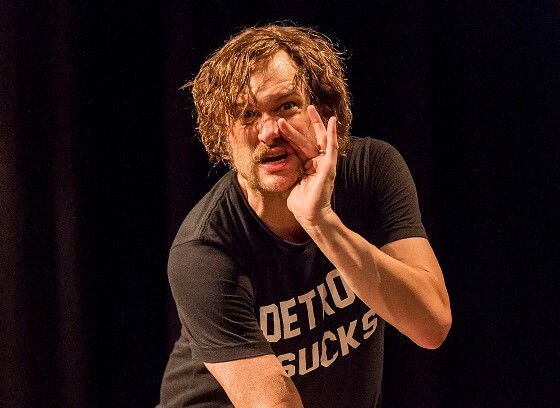 But to put it plainly, Erik Jensen's Lester Bangs is my favorite. Let us return to the play: The stage of Rock Critic is a clutter of Bangs' life. At times he paces the stage like a damaged and caged tiger. And at others, he is a music-loving Everyman, playing us favorite songs from his personal collection. Here we see a fiery, self-destructive Bangs intermixed with moments of quiet tranquility and grace. We certainly see his flaws. There in his rag-tag apartment, amidst piles of music magazines and LP records - we see the path that killed Bangs. (His drug abuse ultimately led to his premature demise - and his occasionally thrashing of art, a penchant that caused him to be released by Rolling Stone magazine early in his influential career.) And on that same small stage we come to witness and admire Bangs' indomitable character. This is the telling of one man's unflinching dedication to the truth found in music. If you aren't careful you might miss the key moment of the play. Jensen's Bangs (in the moment of another classic rise-and-fall) admits he is just looking for something real to hang on to. Something in music (always music) that's "moral." And there you have it. A man is rebuilt and torn down and rebuilt before our eyes. Long gone but never forgotten. This is the Lester Bangs for the world to know. I met him this week.